There are several methods to test for sleep apnea. A proper evaluation normally consists of an overnight exam to monitor your breathing and other body functions while sleeping. If you show symptoms of sleep apnea or sleep deprivation, our specialists will recommend one of the following: a screening test or a sleep apnea test. Screening tests are known as home sleep tests which are completed in the comfort and convenience of your own home. 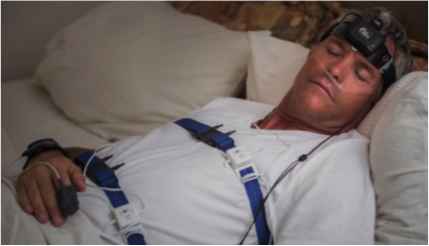 The sleep apnea test, called nocturnal polysomnography, is performed in a lab facility and will be monitored by a specialist. Home Sleep Tests are performed in the patient’s own home. The patient will be given the proper equipment and gear to wear overnight to diagnose sleep apnea. Precise instructions and guidance will be given to the patient to inform them on how to properly use the equipment and begin the exam. This test measures the patient’s heart rate, breathing and airflow patterns, and blood oxygen levels. Once the exam is complete, the results will be sent to a specialist to evaluate and decide the proper diagnosis. This method of testing requires the patient to sleep overnight in a lab facility where a specialist will monitor, record, and read the results. The patient will be monitored throughout the night with sensors attached to different parts of the body. 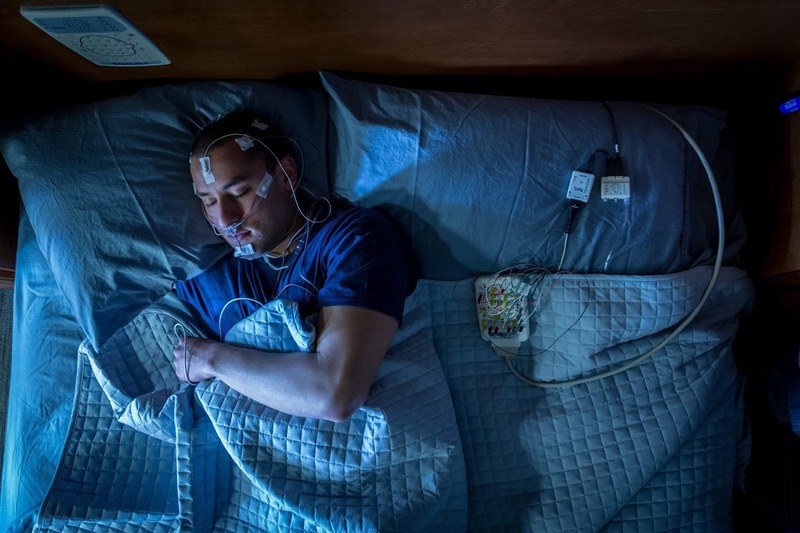 These sensors will record the patient’s brain waves, heartbeat, breathing patterns, and movement while sleeping. Electroencephalogram (EEG). This exam specifically measures the brain wave activity that occurs while asleep. Electromyogram (EMG). This method focuses on the body activity while sleeping. It recorders body movements such as face twitches, leg movements, and teeth grinding to help determine the amount of REM stage sleep. REM sleep occurs in intervals and is when most body movements and dreaming occurs. Electrooculogram (EOG). This records eye movement while sleeping, which also occurs during REM sleep. Electrocardiogram (ECG). This test measures the heart rate and rhythm of the patient. Nasal airflow sensor. This is a device used to measure the airflow rate. Snore microphone. This device records snoring activity, such as the volume and the type of sound of the snore. The most important part is recognizing the symptoms. If you notice you have difficulty sleeping at night or wake up feeling constantly drowsy, sleep apnea may be the cause. Consulting with our specialists will help you get back to a full nights sleep with the proper treatment. To schedule your complimentary consultation call (212) 581-1091.